This post brought to you by Caribbean and Latin America Marriott and JW Resorts. 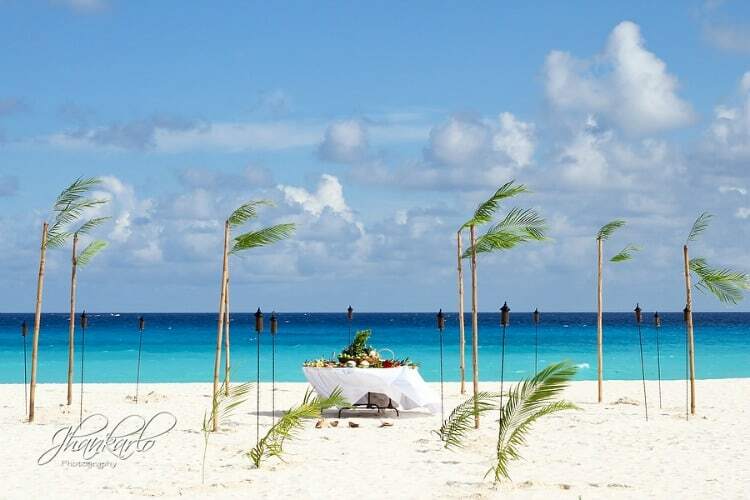 The content and opinions expressed below are that of Destination Wedding Details. Planning a destination wedding but need help finding the perfect venue? Then this post is the answer to your prayers because it has a really cool, interactive infographic that will guide you to your dream venue. If you’re here on this site, you’ve probably already figured out that a destination wedding is the ideal way to eliminate all the hassles that come with a traditional hometown wedding. Because the guest list is often smaller, destination weddings offer intimacy and a lot more bang for your buck! Not to mention, some pretty stunning venues and backdrops that you’d be hard-pressed to find back home. Yet, once you decide that you want to tie the knot in paradise, you might be left scratching your head wondering how to even get started. After all, the world is your oyster as they say. This is an exciting time and you’ll have many decisions to make. But choosing a venue is the first and most important choice you’ll make. You might be wondering, “where do I begin”? I’ve been in your shoes and I know exactly how you feel. When I first started planning my own destination wedding, all I knew was that I wanted a crystal clear ocean, white sand, and swaying palm trees as my backdrop. 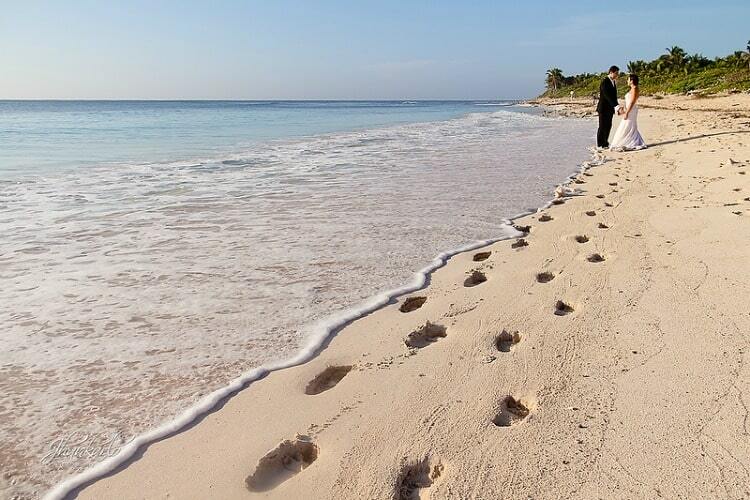 And if that’s what you want too, then you’ve probably narrowed down your wedding destination to the Caribbean or Mexico. But those are two huge regions with a pretty overwhelming selection of venues that can make your head spin. I remember sitting down with a map and googling locations for days on end. I just kept wishing I had someone to guide me. I wanted someone to ask the right questions that would lead to my ideal wedding destination. I didn’t have that luxury. But you, my friend, are in luck because the amazing little infographic below, created by the Caribbean and Latin America Marriott and JW Resorts, will help you narrow down your choices based on your specific needs. Do you want modern luxury, culture and unspoiled landscapes or are you looking for an adventure? Are you fantasizing about tying the knot in your own personal paradise or do you prefer a venue with plenty of tourist attractions? Take the Matrimony Quiz Below to Find Your Perfect Wedding Destination. Just answer the questions and once you land on a venue that meets all your needs, click on the picture to get more information about that resort’s wedding packages.